What is RankFlux? Another SCAM? What is this point and click software that can drive unlimited free buyer traffic and Google page 1 rankings in just a few clicks? Exactly what is RankFlux that can do such wonders without you requiring any SEO knowledge or skills? Welcome to my RankFlux review. 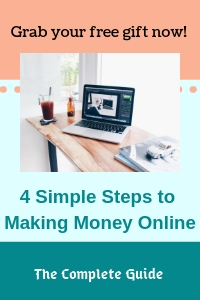 I believe you must be trying to figure out how to get your website onto page 1 of search engines, so that you can get free organic traffic to your offers. You have landed at the right place, because here, you can be assured of my honest, unbiased, and in-depth review of RankFlux, as I have no association with it. Has Seun discovered some secret formula that gets you instant rankings? Why would people have to work so hard building up content and establishing the authority of their websites if it can all be done by a simple plugin? Could this be a blackhat technique? Let’s dive right in to answer these questions and more. RankFlux is a legitimate plugin, that sets the technical aspects of your website in the right direction for SEO (search engine optimisation). It is not a blackhat technique. It is just redundant in the face of the most popular SEO plugins that are free and established, all within WordPress. Its keyword function is not robust enough to allow you a comprehensive and efficient keyword strategy. Ultimately, it still boils down to lots of hard work creating content around those keywords in your niche, and there is no other way around it. Read on for the detailed review of RankFlux, and why I do not recommend it. Let’s find out what is RankFlux by first looking at the information presented in its sales video and landing page. In a few clicks, with zero SEO (search engine optimisation) knowledge and skills, you will get unlimited free buyer traffic through Google page 1 rankings? I seriously do not think so. It does look alright, with keyword tool, optimisation for internal linking, automatic request for indexing, and… yup. Basically that’s it. It has the basic features that we would expect of every SEO plugin. 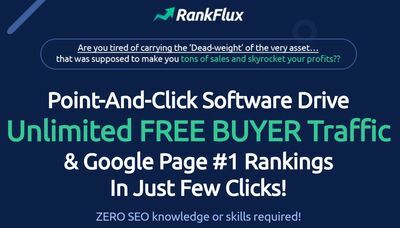 So I do not see any winning factor that this RankFlux has over all the free, established SEO plugins that you can find on WordPress, with many proven installations and happy users. Just as an example, we have the SEO all-in-one plugin, as well as the Yoast SEO plugin. The only plus point I can see in RankFlux is its keyword tool. Even then, its capability is far from all the established keyword research tools that are readily available on the internet (I will show you the one I am using later on in this article). There is also Rank Spy, which you can use to spy on your competitors, and analyse their website statistics, by entering their domain. Again, I see limited capabilities in this feature. 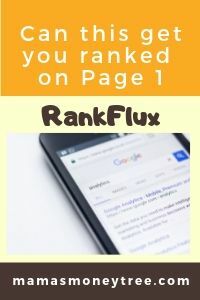 At the same time, what is very glaring to me is the misleading message that the RankFlux sales page is trying to send across: that RankFlux helps you to get ranked on page 1 of Google instantly, once you start using it. 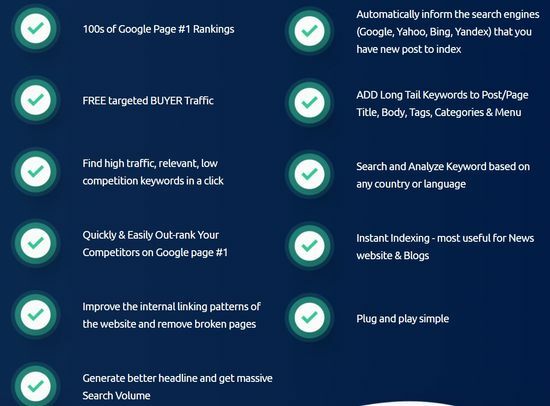 By the use of the phrases “zero SEO knowledge”, “buyer traffic in just a few clicks”, “quickly and easily outrank your competitors”, “100s of Google Page 1 rankings in no time”, and so on. I do not appreciate the hidden meaning behind all these, which give the impression that this software allows you to skip all the hard work. Doesn’t this make you think that this guy can actually make his site rank on page 1 in 60 seconds? Unfortunately, that didn’t happen. He just meant give him 60 seconds to do a demo of the software, and how to use it. So you see the smart use and playing around with words here. Follow me through the rest of the article if you want to learn the proper way to get page 1 rankings on Google or any other search engines. Not to boast, but just so you can trust that I know what I am talking about when it comes to ranking my website. – content, content, and content. 1. Would you seek advice from a newborn baby? It is the exact reason why search engines will generally not give brand new websites great rankings. They need to be sure you know what you are doing, before they present your website to their users. Otherwise it may affect their user experience, which they will never take any risk with. So how old should your website be, before search engines start giving you the rankings you so deserve? Well, according to the experts, it could be anywhere from a few weeks, to a few months, to a year. But the general consensus seems to be an average of 6 months. So if you think you have been doing everything right but your website is not 6 months old yet, then just keep doing whatever you are doing. Search engines will only reward the stayers. It will pay off big time when you get there. Get the popular, free ones from within the WordPress plugin area, that have got many active installations. You know these work best. This will handle the technical aspects of SEO for your site, including stuff like submitting your sitemap to the search engines. At this point, I can understand if you are lost with the technical setup for SEO. 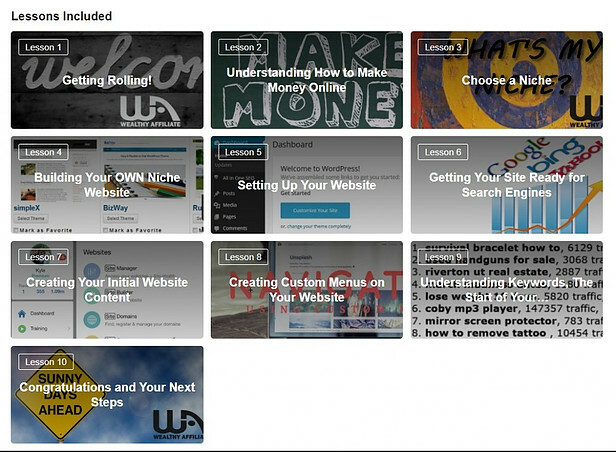 I want to show you this training platform that has everything under one roof. It is FREE to sign up as their starter member, for which you will get 2 free websites, as well as 10 free lessons, which will walk you through, step by step, everything you need from installing your SEO plugin, using WordPress, and using your free keyword research tool. One of the main focus of the other 40 lessons in the training area is about teaching you the proper way to write, and things to look out for, such that your posts and pages will get ranked in the search engines. Give their free starter membership a try, you do not even have to give any credit card details. After going through the 10 free lessons, you can then decide if it’s the real deal that will get you where you want to go. I wouldn’t worry too much about this for a start. As your website builds up authority, backlinks will come in naturally. Just never go for black-hat SEO backlinking strategies, like using bots to put your website links everywhere on YouTube comments, other websites’ comments, etc. These are not authentic, do not carry any weight in the eyes of search engines, and your site may even get penalised for it. Jaaxy (which has a free version for you to use within Wealthy Affiliate) is the one and only keyword research tool I have ever used. I use it to find high search volume, low competition keywords. The training in Wealthy Affiliate also covers this part extensively. I simply followed it, kept going at it, and started ranking on page 1 for a number of posts even before my site reached 6 months old. So I know it absolutely works. There are many other functions inside Jaaxy, including tracking your site rank, saving your keyword lists, alphabet soup, and lots more. Yes, content is still king, after all these years. If you want to get free search engines traffic that is highly targeted, you have to prove your worth to the search engines. There is no short cut to this. Don’t believe those who try to sell you their products so that you do not need to create anymore content and can get ranked on the search engines. Work for it, not against it. Search engines want authority websites loaded with authentic information that can help their users searching for answers. Create consistent and great quality content, and you will get rewarded with an unstoppable stream of free traffic that has the strongest buyer intent. No kidding. I have seen its power. This is my only source of traffic, and I have never regretted putting all that time and effort into it. Because when it pays off, it pays off big time. Back to RankFlux. Seun is a real person, definitely. And I do believe he knows what he is doing. So you can expect to be buying an SEO plugin that works. If you insist on trying this out, you will get your SEO plugin that comes with a keyword research tool, and a spying and analysis tool for competitors. Its sales pitch would have you think you can rank your site instantly, which is not true at all. An SEO plugin simply works on the technical aspect of your website, to help it get ready for search engines. Why should you have to pay for this product when there are numerous well-established and free ones that you can find and use easily? Just like any other product that is created to dig deep into your pocket, RankFlux is no exception. Right after your purchase of the front end product, you will be hit with these pricey upsells, even before you can find out if the front end product is good for you or not. Is RankFlux Scam or legit? RankFlux is definitely a legitimate product. But I strongly suggest you do further research on the free WordPress plugins for SEO before you decide on the purchase. I do not recommend RankFlux. 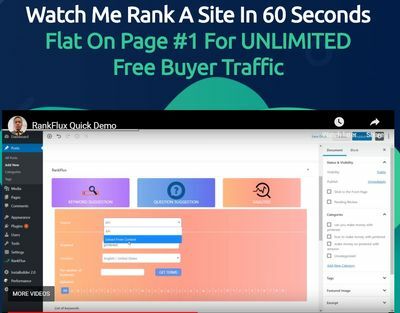 If you are serious about wanting to rank your website, and get free organic traffic from the search engines, my #1 recommendation is to check out Wealthy Affiliate. It does not boast of instant results (anything that promises high rankings fast is out to get your money). It simply provides a tried and tested formula that countless internet marketers have found success with. That includes me, I am living proof that it works. If you have any concerns or questions regarding this RankFlux review, do comment below, and we will start a conversation from there. I’ve seen a lot of people asking why their website isn’t ranked after a week from its “birth”. A couple of articles of doubtful quality and they feel the kings and queens of blogging. If there are bloggers like that it’s normal that there will be products like RankFlux. I wouldn’t use it even if it did what it promises. It’s like getting on top of the mountain with a helicopter and then boasting about your trekking skills. It’s not my style nor my ethics. Great article, my friend! Glad to see you here. Yeah you’re right that many people who are new to blogging or starting their own websites are hopeful of getting Google’s attention instantly. But I guess everyone learns the reality and keeps on at it, or moves off to other shiny objects, which I hope to prevent.